The UNHCR WASH Manual (4th Edition, September 2018) is the result of an open and collaborative process with WASH actors who have active programmes supporting refugees. It has been written primarily for use by UNHCR staff, WASH actors, national governmental authorities, emergency response coordinating bodies, contingency planners, programme evaluators, and is a useful reference for any individuals or organisations involved in providing WASH services in refugee settings. The manual outlines WASH guidelines that should be met in all refugee settings to provide an adequate level of basic WASH services for refugees. 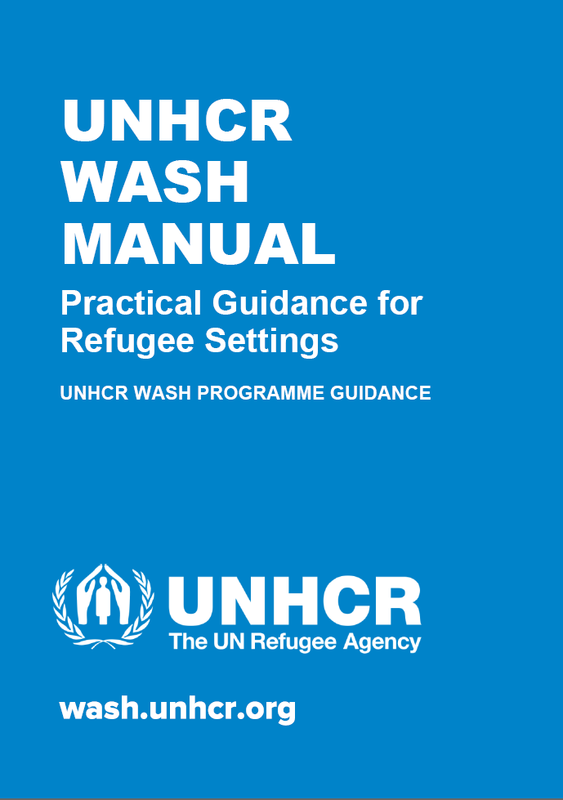 The manual does not aim to be a detailed technical WASH manual, but instead aims to present..
Where to find more detailed UNHCR approved technical design and operational information (e.g. from existing WASH technical documentation). The manual should be used in practically all refugee situations, where UNHCR operates including low middle-income and high-income countries, emergencies, protracted situations, and eventually repatriation or any other durable solution identified. The focus of the manual is on refugees, but in some contexts, may apply or be adapted to asylum-seekers, stateless persons, internally displaced and returnee settings.